Running a restaurant means spending 100% of your time focusing on one metric - the number of customers visiting your restaurant. Between making sure your front-of-house and back-of-house are operating harmoniously, you are often left with no time to focus on increasing this number. Increasing restaurant reservations is not as difficult as you think. There are a number of quick changes you can make at your restaurant to start tapping into missed bookings. Some methods are easier than others, but all will increase restaurant reservations. Below you'll find 10 ways you are losing reservations. As a bonus, you can download our guide to restaurant widgets. If you require guests to call, email, or fill out a form to make a booking, you are already missing out on a large number of restaurant reservations. The extra effort involved in the process is often times enough to turn customers away in favor of an easier booking process. With more than 25% of people making reservations exclusively online, it is a channel that you can't afford to ignore. Online reservation systems allow your guests to choose their preferred date, view available times, and reserve a spot, without the need to make a call or send an email. By partnering with an online reservation system you remove the main barrier to entry preventing potential guests from visiting your restaurant. Selling your tables through various channels (website and phone) tends to get messy without an online reservation system. Every time a booking comes through, your reservation team will have to manually update booking information to get an idea of how many tables you have left. This is not only a headache but also a source of potentially lost revenue for your restaurant. Using a table management system gives you the information you need to double book tables. When a guest makes a reservation at your restaurant, there are certain forms of communication they should receive. These include booking confirmations, reminders, and a message sent after their visit requesting feedback. Smaller restaurants have no way of automating this process without the help of services such as a reservation system. Their best bet is to try and find free templates online that lack personilzation and require each message to be sent manually. Having these messages send automatically not only makes it easier for the restaurant staff, but also increases customer confidence and helps cut down on no-shows. If you run a smaller restaurant or a restaurant that is tight on money, you need to be careful about where you spend your money and invest your time. To help make these decisions, we recommend getting in the habit of analyzing data at your restaurant regularly. Without the use of a restaurant reservation system this is often a time consuming task that only helps you in the short run. Instead of automatically downloading weekly or monthly reports, you are forced to manually try to manipulate data in excel in hopes of figuring out whats right and whats wrong. Reservation systems provide you with a complete overview of everything happening at your restaurant allowing you to maximize your efforts in areas that have proven impact to subsequently increase foot-fall at your restaurant. 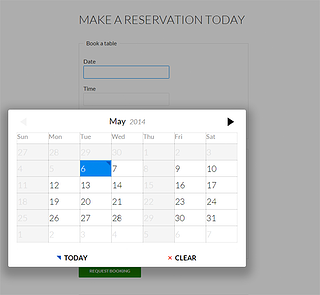 Many people think that booking widgets are only useful for websites. But today all good reservation software companies give you the ability to use widgets across the web. You can’t rely on your website alone for business – you must be where your customers are. Make it easy for your customers to make bookings where they spend most of their time. This involves integrating your booking widgets into your Google Business page, Facebook and Instagram profiles, and even through emails and text. When a guest dines at your restaurant, it shouldn't be a one off experience. Provided they have a great experience, they should already be more than willing to come back when that craving kicks in again. But how do you make sure your restaurant is on their mind when they start looking for places to eat? Instead of marketing to complete strangers in hopes that one of them will eventually visit your restaurant, market to those that have actually been your customers in the past. Using the Facebook and Google ad platform you can advertise to your exisitng customers. Social media is often times the last place restaurant operators look to in hopes of increasing restaurant reservations. With over a billion active users on Facebook alone, social media is a powerful marketing tool at a restaurant's disposal. 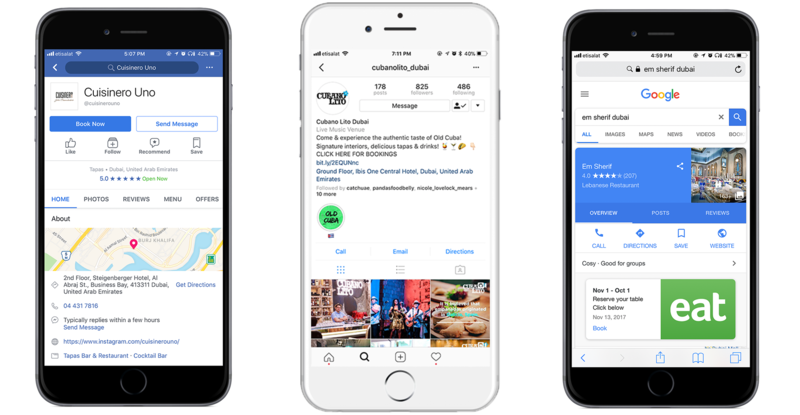 By creating social media profiles for your restaurant, you are exposing your brand to millions and millions of potential customers at absolutely no cost. Once you've built a following, posting regular content is a great way to keep your customers in the loop and wanting more. Google Business is a great tool for small businesses. It allows potential guests to find out more information about your restaurant such as your phone number, email, address, and operating hours directly from Google search. As if this wasn't good enough, Google recently launched a feature allowing restaurants to add reservation links directly within their business pages which show up in Google search and Google maps. This means you can start receiving reservations directly from Google provided you are partnered with a restaurant reservation app and have a booking widget. Guests that search for your restaurant will now see a Google my business profile that takes up a majority of their phone screens, meaning they are less likely to visit your website. Restaurants with google booking links see an increase of 20% in online reservations. When it comes to the Food and Beverage industry, new trends pop up every other day and if you aren't doing your part to address these new trends and adjust your offerings to suit them, your guests will find somewhere else to dine. 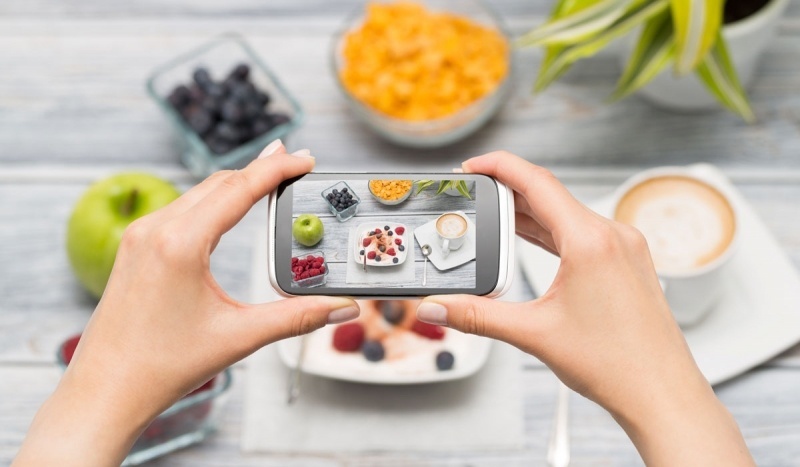 Whether it be catering to new technology in your restaurant such as allowing guests to reserve their table online rather than over the phone, or even something as simple as coming up with new menu items to match the newest Instagram trend, it is essential for you as a restaurant owner to keep up with the pace. Does your booking widget still look like this? If so, one of the main reasons you are missing out on restaurant reservations is your widget design. Your booking widget is the last thing guests see before they complete the reservation process, and often times its the main reason guests turn away. With user focus shifting towards convenience, if your booking widget doesn't fulfill the same requirement, it might as well not exist. 1) Allow guests to make restaurant reservations in two steps or less. 2) Show alternate dates and times for booking slots that are already full. 3) Allow your guests to leave special requests and requirements without having to download an external app or visit another website. Once you have a restaurant booking widget that can fulfill these three requirements, you are ready to start increasing reservations at your restaurant. Want to learn more about installing restaurant reservation widgets and optimizing them to increase bookings? Download our FREE step-by-step guide to start converting your restaurant's online traffic into real restaurant reservations.